This is the year y'all. 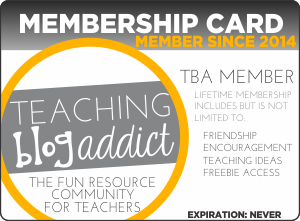 This is the year I do an interactive notebook and fill it up. This is the year where I don't forget about after a month of really using it. I know we can do it! 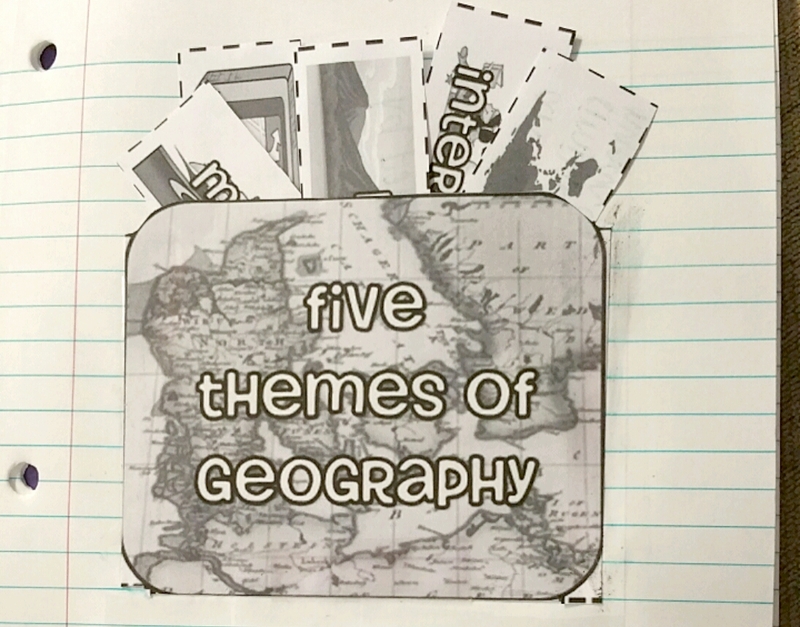 I have looked at all the interactive world cultures/geography/social studies interactive notebooks out there for upper age kids. I even bought one the one I thought looked the best. I hate it! It uses the same boring foldables over and over again with NO pictures! I need variety in my life and I know if I got tired of looking at the same thing, the kids will too! So. 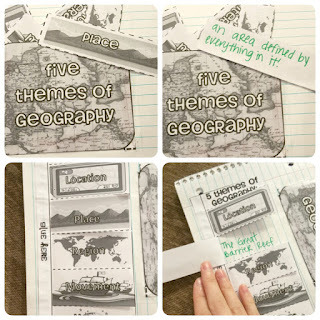 I am going to create my own as we go through the year and at the end of the year I will put the bundle up on TpT -- until then, you get the individual interactive notebook foldables there. 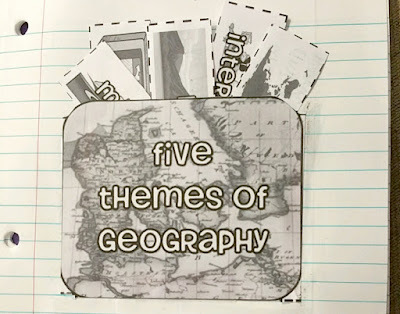 We start off with the 5 themes of Geography and I created 2 foldables to use while teaching this. A pocket with the 5 themes on strips. 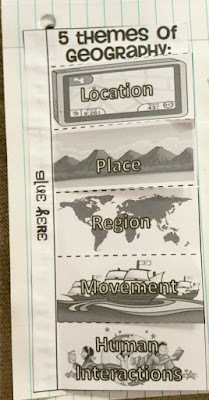 Kids write the definition or examples on the back of the strips. A flip up kind to reveal definitions or examples! I plan on using both foldables in my classroom when I teach this topic. We will use the pocket one to write definitions and the flip up one to give examples. Why use only one when you can use BOTH? They both fit on one page! We will do the pocket kind all together and go over what each theme means, writing the definitions as we go. 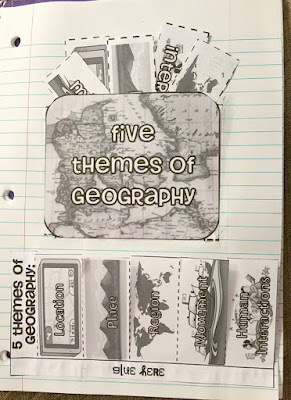 I will then turn the flip up kind over to them and they will have to find their own examples for each theme working on chromebooks. We willl then share our examples to the rest of the class! 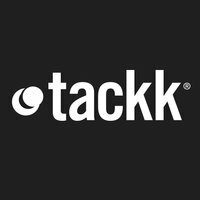 This product comes in both color and black and white for however you wish to print!! No time? No resources? Get this awesome poster set from amazon! !